Altia, Finland’s leading producer and exporter of alcoholic beverages, have trusted us with one of their prestigous brands. Grönstedts Cognac is truly a Swedish national treasure with an awesome 167 year old brand history. 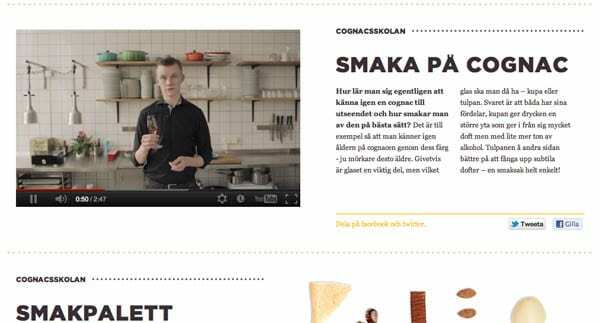 We developed a new communication platform and strategy, created some new packaging and re-introduced this excellent cognac for the Swedish market. The brand story puts the tradition of Grönstedts into a modern context and shares the exclusive cognac moments that involves all walks of life. Here is one of the TVCs that is now running on Swedish TV channels. We also created a place for inspiration and education at Gronstedts.se. Here the award-winning sommelier Totte Steneby gives us the history of cognac, tastes all of Grönstedts different products and talks about different palettes of taste. You can also get some inspiring tips on how cognac can be part of some great drinks.